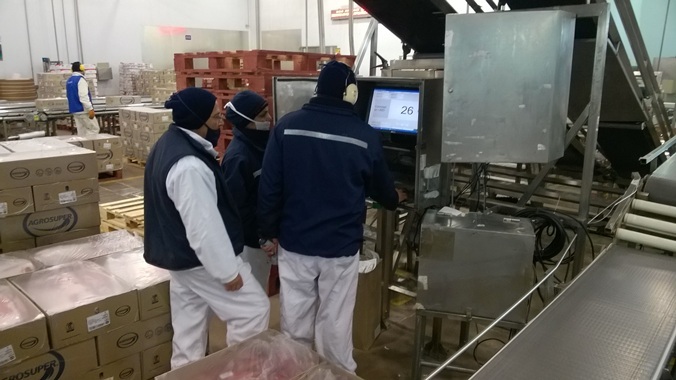 Since February 2015, all processes at the Rosario plant belonging to the Chilean food group Agrosuper are handled entirely with Meat Management by Softproviding. 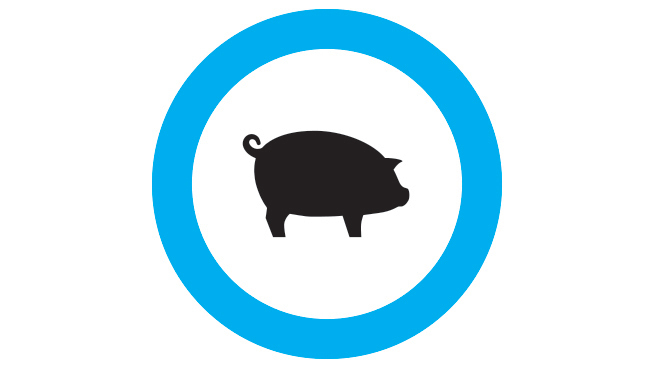 In Rosario, pigs from the company’s own breeding and finishing farms are slaughtered and processed. In addition to delivering to national clients, Agrosuper exports a large proportion of its produce to North and Latin America, Europe and Asia. The introduction of Meat Management by Softproviding under the guidance of Ignacio Vial (Agrosuper) and René Stampfli (Softproviding AG) began in September 2013 with the Business Blueprint phase. The implementation phase began in spring 2014 and was completed at the end of August 2014, paving the way for integration tests and preparations for the go-live. The introduction took place in two stages. In November 2014, the livestock reception, barn management, slaughtering and disassembly processes were changed; this was followed, in February 2015, by packaging, labelling and palletising after Christmas trade. The project team consisting of various technical experts from Agrosuper and Softproviding faced a number of challenges throughout the project. Around 8,000 pigs are slaughtered in Agrosuper’s Rosario plant every day. The linear process sequence from livestock reception to palletising requires user-friendly and efficient process data acquisition along the entire supply chain. This was facilitated by the continuous use of DPR-RAF technology across the entire shop floor area. The barn management component, which will be an integral part of Softproviding Meat in the future, was devised and developed as an early product development during the implementation phase. With Barn Management, is it possible to record all items moving in and out of the barn with regard to livestock reception and to display the inventory. 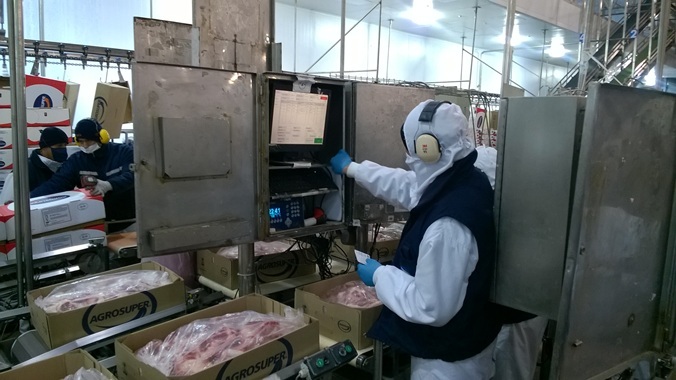 To keep the cost of process data acquisition as low as possible while meeting traceability requirements, many process entries were automated through the use of Softproviding Core. When weighing a packaging unit, the net weight is simultaneously entered directly in the packing order and the preceding disassembly order. 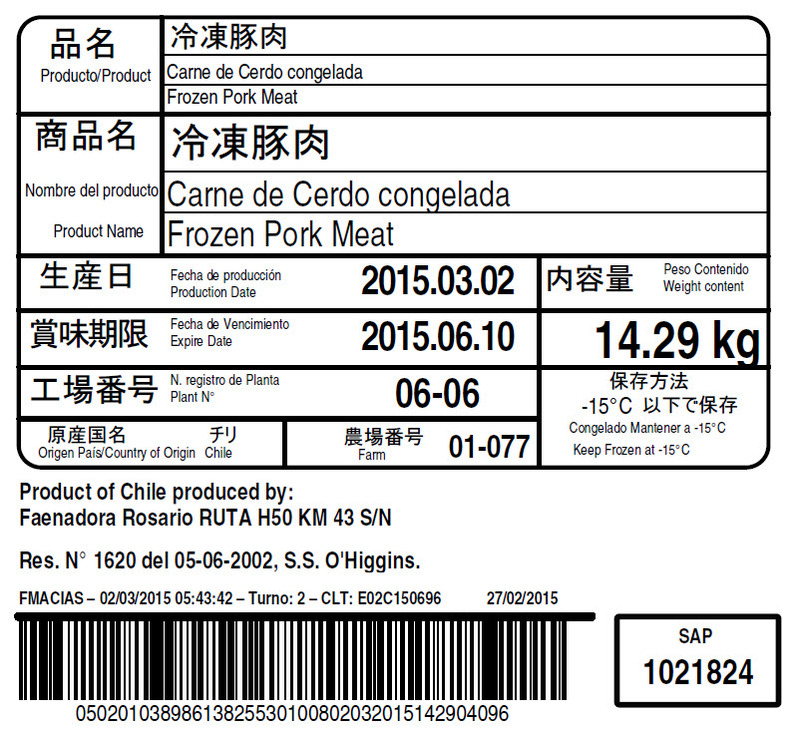 The range of different export markets and language areas requires the packaging unit labelling process to be extremely flexible and efficient. This is guaranteed by the use of DPS, Determination Applications, PrintDesigner and PrintMonitor. Due to the language and time differences, the considerable demands on communication during the project are not to be underestimated. Through several targeted on-site operations in Chile, which were focussed on particular project activities, and thanks to the flexibility and mutual support of the project staff, the milestones were always reached on time and the necessary standard of quality was met. The active cooperation of all project participants from Agrosuper and Softproviding AG ensured that these challenges were overcome successfully and both go-lives went smoothly. The introduction of Meat Management by Softproviding at Agrosuper is set to continue this year with the scheduled roll-out of the solution in the San Vicente poultry plant.